The Venture Bros. Hour-Long Special Premieres Tomorrow! 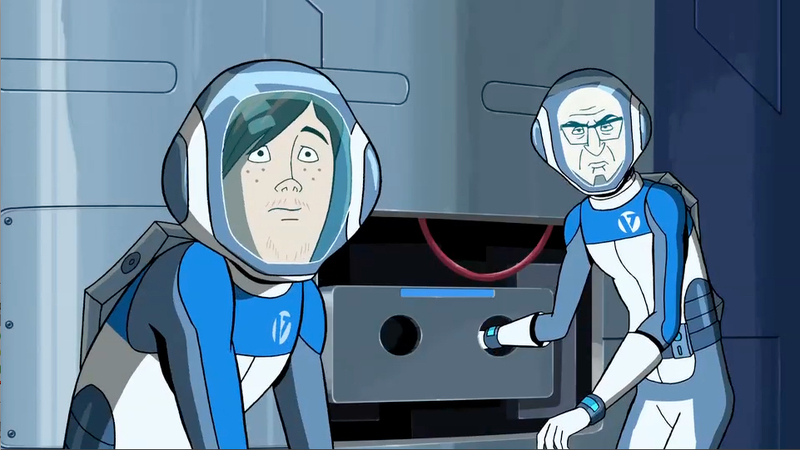 Leave a Comment on The Venture Bros. Hour-Long Special Premieres Tomorrow! The hour-long animated special All This and Gargantua-2 premieres tomorrow night on Adult Swim. The all-new Venture Bros. special sends Hank, Dean, and the rest of the characters on a wild and action-packed space adventure. The new special is sure to amaze fans of the series, so be sure to catch the premiere tomorrow night at midnight on Adult Swim! If you want even more of The Venture Bros, you can spend every night with them! You can purchase your own limited edition Venture Bros. exclusive sheet set here! You can also check out some new screenshots from tomorrow night’s special below. For all things Adult Swim, along with a review of The Venture Bros: All This and Gargantua-2, keep it here on NYCityGuys! Previous Entry “Strange Magic” Recipes to Enjoy Before the Movie!